Their fourth official full-length record, and their second on Monster Zero. Another twelve punkrock smashers by the boys from Las*Pezia. This time the Manges went for the cleaner approach, kinda like the Ramones did on Road To Ruin. Recorded at T.U.P. Studio in Brescia (I) by Bruno from Miss Chain & The Broken Heels, and produced by Herve from the Peawees, this is the Manges record you never expected but were secretly hoping for. Smart and effective songwriting in combination with the black and white artwork. It's almost a theme record. But still Ramones obeyin' asskickin' good! One of Europes best and longest running poppunk bands return with a new album! Produced by Joe Queer, including songs written by Ben Weasel and Danny Vapid! Its all very good! 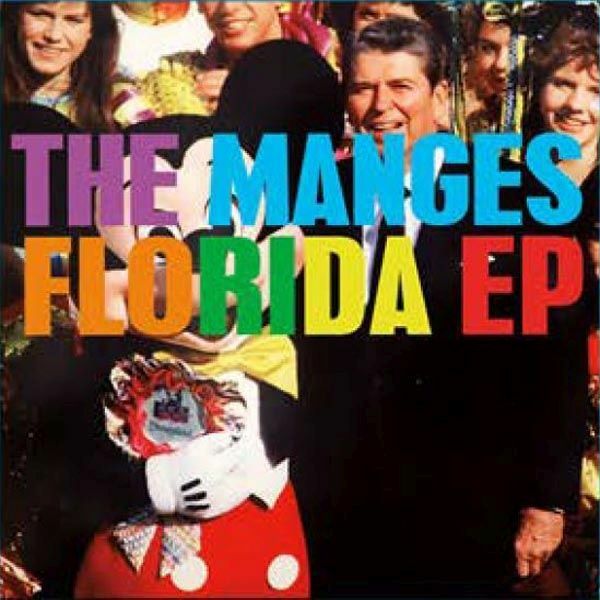 six-song, 45rpm 12" EP from Italys longest-running pop punk powerhouse THE MANGES. Pressed on blue vinyl (limited to 500 copies), the EP also comes with a full color, replicated compact disc! No record player? No Problem! Frame the LP, rock out to the included CD! 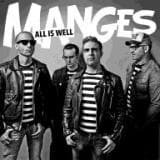 Fresh off their recent European tour in support of the legendary CJ RAMONE, and just weeks before launching yet another headlining European tour, this release marks the Manges first 12" vinyl since 2014s critically-acclaimed "All Is Well" (Its Alive Records). The "staff" at Eccentric Pop Records loves the Manges. You love the Manges. Everyone who HEARS the Manges loves the Manges. This is a band whose resume includes split records and / or collaborations with the likes of CJ Ramone, Screeching Weasel, and the Queers. Pick this one up. Second pressing.. 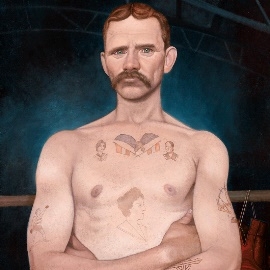 The Manges second full-length from 2006.Remastered by Mass Giorgini in 2018, with two extra tracks, red vinyl, updated artwork, download code.